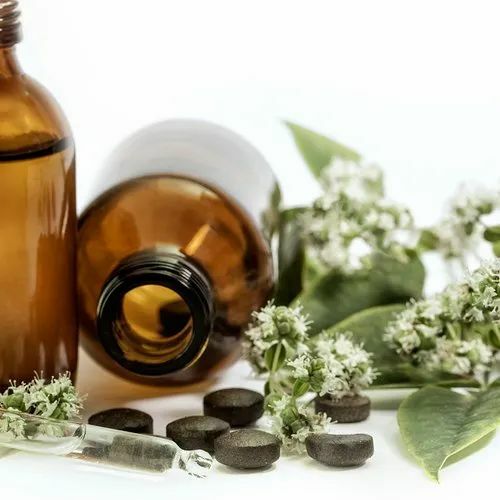 We are one of the leading Manufacturers and Suppliers of Herbal Extracts for our high esteemed clients and we deliver the best quality of materials at very reasonable rates. Incorporated in the year 1996, we, Jeevan Chemicals & Pharmaceuticals, an ISO 9001:2008 certified company are one of the trusted manufacturer, supplier, trader and exporter of a quality approved variety of Pharmaceutical Chemicals and Minerals, which is prepared using quality ingredients. Our clients can avail from our products range Bacteriological Raw Material, Feed Supplement and Peptone Powder. Our offered pharmaceutical products are manufactured under strict controlled process and thus these are in compliance with standards. Further, after an extensive research being conducted these products are developed. Our offered products are highly demanded and praised amongst our clients for their long shelf life and quality. Our Major market is Germany, Nigeria, Iran and many more countries in all over the world. All these attributes in accomplishing a superior range which ensures to meet the expectations of clients in the most professional manner. Working in the same direction, we have included desire, dedication, excellence and a good sense of timing as the common denominators of our success. Advance technology helps us in the hassle-free production and storage of the proffered assortment. We have hired a team of professionals, who are proficient in their respective fields and work hard in attaining complete client satisfaction. In addition to this, our team members comprise highly skilled professionals, who have vast industry experience in their concerned field.